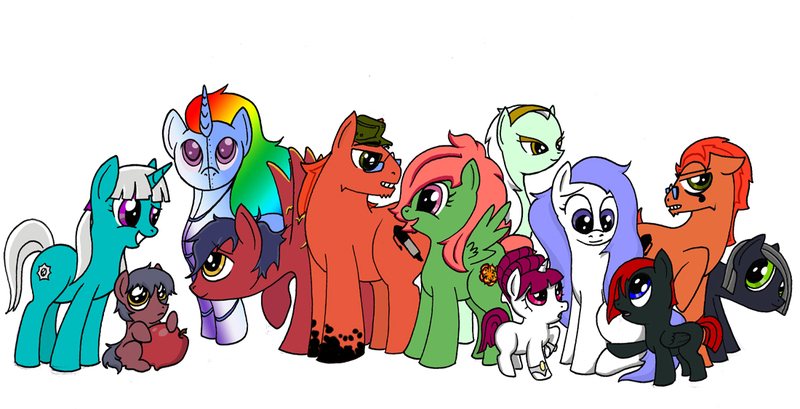 Group shot of all the ponies that live in Inky Marks' studio at the moment, from left to right we have Seabreeze, LittleSpin, Harmony, Scraggs, Inky Marks, Prickly pear, Desert Lily, Silver Rose, Waffle, MidknightHearts, Inque and Inkdrop. Hooray for time travel! How did I not find this before?! Page generated in 13.552 miliseconds. 17 Queries.